the sun rises on the last day with sharon. 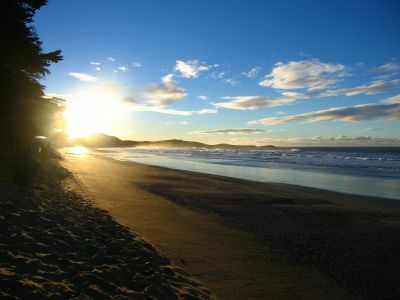 on our last night we parked our campervan on the ocean shore on the east coast of the south island, just south of christchurch where she had to catch a flight to fiji. 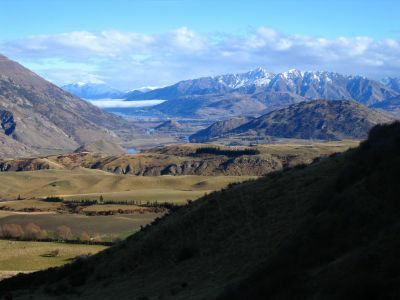 we woke to this view and then headed to christchurch. 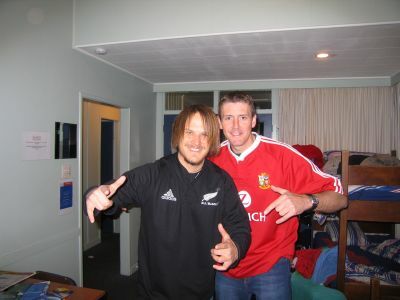 a few days later, the all blacks played the british lions in christchurch. 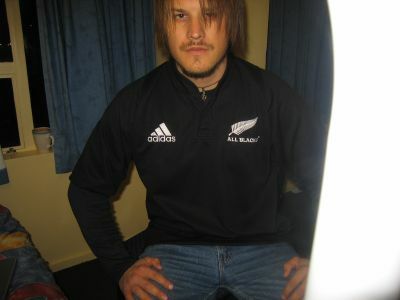 i was in christchurch and got caught up in the fever, so i purchased this all-blacks jersey. man, did the boys put it to the lions. i chose the right side and proudly strutted about town with the jersey on. after a long weekend in christchurch, i headed down to queenstown again. 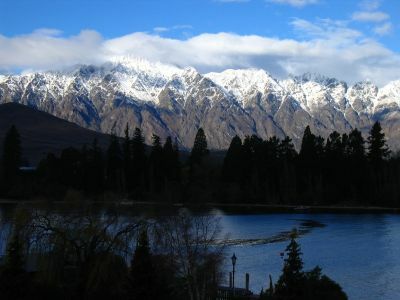 these mountains are called the remarkables, on the shores of lake wakatipu. 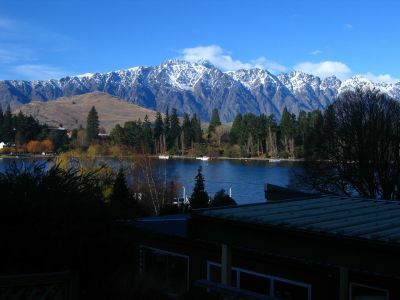 never a problem returning to a place as fun and as beautiful as queenstown. 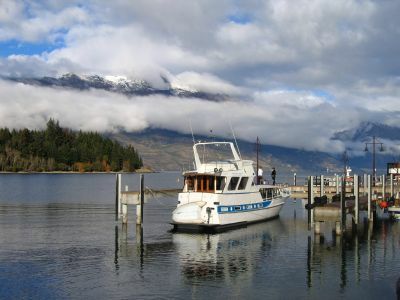 the wharf at lake wakatipu. 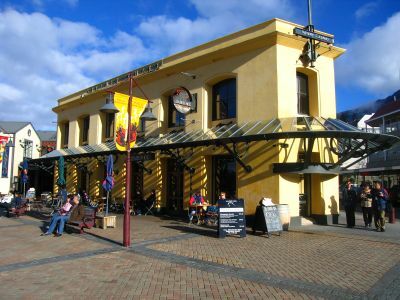 the loaded hog, a cool bar in queenstown. 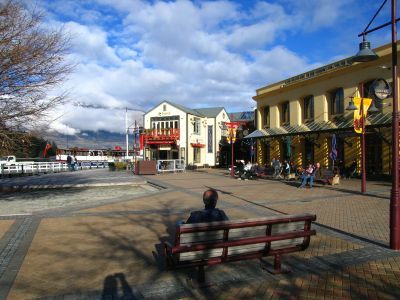 queenstown is a very small town, population about 8000, but it packs a lot of fun into a small area. here is the main square of town. while i was in queenstown, another all-blacks/lions game was going on. 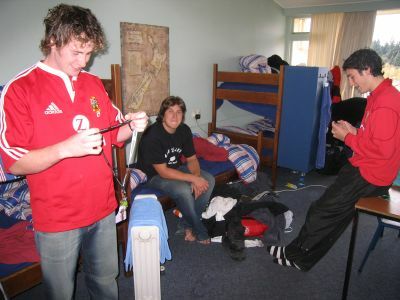 dan and ben, from wales, are in the red (lions jerseys), while matt, from new zealand, is in all-black. this is our room in bumbles hostel. not such a bad view from our room, eh?